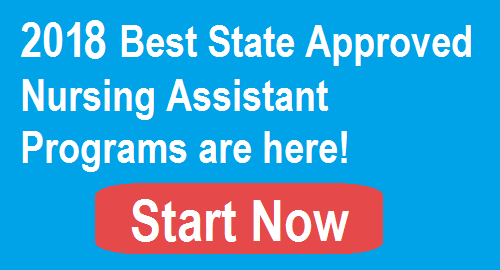 For individuals interested in becoming a Certified Nursing Assistant (CNA) in South Carolina, it is necessary to meet all state requirements. The steps to meeting these requirements include completing CNA training or meeting other eligibility route requirements; if required, passing a knowledge and skills examination; and getting listing on the South Carolina Nurse Aide Registry. Successfully completing the steps expands employment opportunities to include federal and state funded facilities. The following sections will assist individuals with understanding the various steps in order to simplify the process. The South Carolina Department of Health and Human Services (SCDHHS) is responsible for administering the laws and regulations concerning the certification and employment of nurse aides. SCDHHS has contracted with Pearson VUE to develop, score and report NNAAP examination results. NNAAP is the acronym for the National Nurse Aide Assessment Program, a nationally developed CNA exam that ensures applicants have the required knowledge and skills per federal and state laws and regulations. The following steps are intended to guide readers through the general process of becoming a Certified Nursing Assistant in South Carolina. There are different certification requirements depending on the applicant’s status. The first step is reviewing the various paths to certification in South Carolina to determine the one that is most applicable. Students first complete a state-approved nurse aide training program and then take a CNA examination. The training program must have been completed within 24 months of taking the certification exam. South Carolina accepts proof of completion of a 100-hour state-approved training program completed in another state. The training must have been completed within the last 24 months. Upon acceptance, the individual can take the South Carolina certification exam. An individual who has completed a South Carolina state-approved CNA training program, but let their certification expire for no longer than 24 months, can retake the CNA exam to renew active Registry status. South Carolina does credential by reciprocity. CNAs registered in another state and in good standing on the out of state Registry can show proof of successful completion of a 100-hour nurse aide training program and a certificate that has not been expired for more than 24 months to apply for reciprocity. The SCDHHS requires student nurses, individuals who successfully completed an RN or LPN program, and military people who completed various types of medical training, to submit an application to the state before applying to take the certification exam. The state must approve eligibility for testing first. A student nurse needs to have completed the Fundamentals of Nursing within the last 24 months before requesting an eligibility review. People who need to complete training will find there are 147 CNA programs in South Carolina approved by the SCDHHS. They are located in all the major urban areas and in most of the smaller towns. Programs are offered at community colleges, training centers, technology centers, technical colleges, high schools and career centers. The federal and state laws also allow individuals to work and train at nursing homes and long-term care facilities, though it is necessary to obtain active Nurse Aide Registry status within 120 days to continue working. If it is necessary to complete Certified Nurse Aide training, it is critical to attend only a state-approved program. South Carolina programs must offer a minimum of 100 training hours which consist of classroom, laboratory and clinical time. However, each program sets its own schedule, and there are significant differences between programs. For example, the Carolina Nursing Assistant Program Academy in Columbia is an accelerated program that only takes four weeks to complete. Students complete 60 hours of classroom and laboratory work and 40 hours of hands-on clinical training in a long-term care facility. Upon course completion, the student can take the CNA exam within approximately 12-15 days. That is how quickly an individual can become a CNA. The Nursing Assistant Program at Forrest College in Anderson has two options. One track is a six-month (22 weeks) certificate program, and the student earns 27 quarter college credit hours that can be applied towards an Associate Degree. The second option is a 100-hour six week CEU program that enables the student to take the certification exam much sooner in order to get to work as soon as possible. The student earns 4.5 quarter credit hours that can also be applied to an Associate Degree at a later date. CNA Program costs and policies are different from program to program in South Carolina. The Carolina Nursing Assistant Program Academy, mentioned in step 2, charges $945 for the course. An additional fee of $55 is charged for the background check and drug test. The program allows a student to use a textbook that is returned at the end of the course or to purchase a personal copy. To make the program affordable for anyone who wants to attend, there are various payment options that include making payments or obtaining financial aid through the Department of Defense (if eligible), or a business or other private sponsor. When reviewing program costs, remember that each program decides what is included in the tuition. At the Horry-Georgetown Technical College, the student pays the $800 tuition, and in addition must pay for the textbook, supplies, the 2-Step PPD, and scrubs. At Forrest College, the six week Nursing Assisting Continuing Education Program costs a total of $1,020.45 which includes the application fee, tuition, physical, background check, tuberculosis TST, textbooks and supplies. The six month Nursing Assisting Six Month Academic Certificate Program costs $5,869 for tuition and fees, supplies and textbooks. However, this program is eligible for Federal Financial Aid in the form of loans, grants and work-study. Every program can change its tuition rates and policies on the purchase of other required items. It is important to verify current rates when ready to enroll. Students who are employed at a federally funded nursing facility or long-term care facility can get free CNA training. A student who is employed while training in the facility has all training costs covered by the employer. A student who is employed by a federally funding nursing facility within 12 months of earning certification can request the employer reimburse him or her for the costs of training. A student who becomes a Certified Nurse Aide and is employed by a Medicaid-certified nursing facility can request reimbursement of tuition after working for one year. Students may have to apply only for entrance into the CNA program. Depending on the program chosen, others may need to first get admitted to the school and then sign up for the CNA classes. The SCDHHS approves training program curriculums in South Carolina. There are many topics and skills covered. Following is a brief list of what the core curriculum addresses. Role of the nurse aide – identifying and reporting changes in resident condition, providing basic care services, etc. Safety and emergency procedures – controlling bleeding, responding to urgent call lights, actions during disasters and fires, preventing falls, etc. Promoting resident independence – maintaining dignity of residents, promote self-esteem, etc. Respecting resident’s rights – protecting confidentiality and right to privacy, understanding what constitutes abuse and neglect, avoiding need for restraints, protecting resident’s personal items, living wills and advanced directives, resolving grievances, etc. Basic nursing skills – obtaining and recording vital signs, identifying and reporting signs of acute illness, collecting and labeling specimens, therapeutic diets, etc. Caring for residents with cognitive impairment – understanding and communicating with patients who have Alzheimer’s disease, dementia, etc. Providing personal care assistance – grooming, bathing, feeding, etc. Providing restorative services – resident positioning in bed, motion exercises, care of prosthetics, using mechanical lifts and other assistive devices, etc. There is a lot of information covered in a short period of time which is why students are encouraged to give training their full attention and effort. The NNAAP exam has two parts: Written Exam and Skills Evaluation. Individuals must pass both parts of the exam within two years of completing training. It is necessary to pass the Written Exam and the Skills Evaluation within three attempts in South Carolina. If unable to pass both parts within three tries, the individual will have to complete a state-approved CNA training program and take the exam again. There are 70 multiple-choice questions with the questions coming from information taught during Certified Nurse Aide training. Applicants should take the practice exams available online to get comfortable with the type and format of questions. This part of the CNA exam involves performing five nurse aide skills which are assessed by a Nurse Aide Evaluator. One skill is always a measurement skill, and the other four skills are randomly chosen. However, a component of the skills evaluation is initially performing the ‘Hand Hygiene’ skill. All the skills were taught during the training program. Also, the person must pass all five skills in order to pass the Skills Evaluation exam. Certification requirements say the applicant must take and pass the exam within 24 months of successfully completing a South Carolina approved training program. CNA testing sites in South Carolina include Pearson VUE regional sites and training facilities. Frequently, students are able to take the examination at the site where they completed their training. Pearson VUE maintains the South Carolina Nurse Aide Registry. After passing both sections of the exam, the person’s name is placed on the Registry. CNA certification in South Carolina is valid for two years (24 months) from the issue date on the CNA certificate. The CNA Registry is found in the Pearson VUE Credential Management System. This system is used to record CNAs and their status. The status may indicate the person is certified (active), lapsed or revoked. When it is time to renew CNA certification, the individual has to submit proof he or she was paid as a nurse aide for a minimum of eight hours within two years (24 months) after the last certification date. The employer provides the verification though signature on the appropriate form. Certification is renewed through Pearson VUE. If the CNA allows their certification to remain lapsed for more than two years, the state requires the person to retrain and take the CNA exam again to renew certification. If it is lapsed for less than 24 months and the person has completed a 100-hour state-approved training program, only retesting is required to re-activate the Registry listing. Only a Certified Nurse Aide can work in a federal or state approved nursing home and long-term care facility. The CNA designation is not required by law for a person to be eligible for employment in other healthcare facilities as a Nurse Aide. In South Carolina, nurse aides who are not certified can work in hospitals, clinics, doctor offices and other facilities, and may also work for private employers.